Mary Martin obituary. Carnes Funeral Home. Mary Martin, 90, of LaMarque departed this earthly life on August 25, 2018. She was born in Wharton, Texas to the late Joe and Addie Randle. 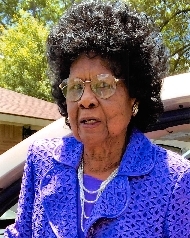 She was a devoted member of Westward Street Church of Christ. Left to cherish her memories are her children Milton Martin Jr. (Debra) of Houston, Joseph Martin (Laura) of Texas City, Margaret Spain (Paul) of Missouri City, Barbara Simpson of LaMarque, and devoted granddaughter Simone Singleton (Darrell). She also leaves a host of grandchildren, great grandchildren, great great grandchildren, nephews, nieces and other family members and friends. There will be a public visitation on September 1, 2018 at 9am held at Westward Street Church of Christ located at 302 N. Westward, Texas City, Texas 77591. Church service to begin at 11am with Brother Gene Rowe Jr. officiating. She will be laid to eternal rest at Galveston Memorial Park Cemetery in Hitchcock.